We are the Slattery’s & Thurgood’s, your hosts when staying at the Comfort Inn Julie-Anna motel in Bendigo. We took over on April 1st 2016, but we are no fools, we’ve got over 60 years combined hospitality experience. We’re a passionate bunch who love to make your stay a memorable one for all the right reasons. We love a good chat, to tell our story and hear yours. For the best deal, we recommend giving us and or our fabulous team a call or click the BOOK NOW button above. 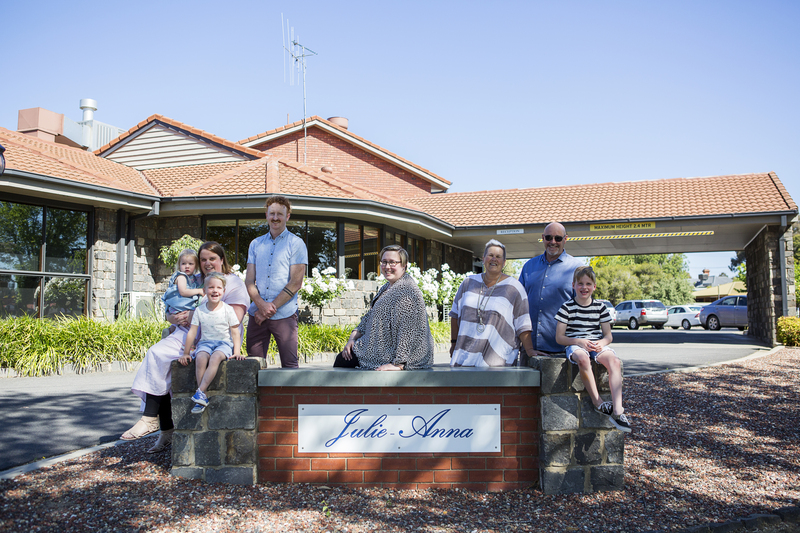 The Comfort Inn Julie-Anna is perfectly located just a short drive from Bendigo’s thriving central business district. The property is located opposite the picturesque Lake Weeroona with amazing views from the restaurant and conference room. The property has 33 stylish recently renovated rooms all with courtyard access and views of the outdoor pool. Boasting some of Bendigo’s largest motel rooms at 38sqm, all guests can enjoy parking at their door, rooms that open out to our courtyard and swimming pool area, complimentary Wi-Fi and all the mod-cons! Access Room, with roll in shower, rails and shower chair available.